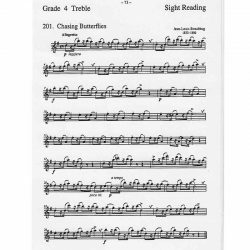 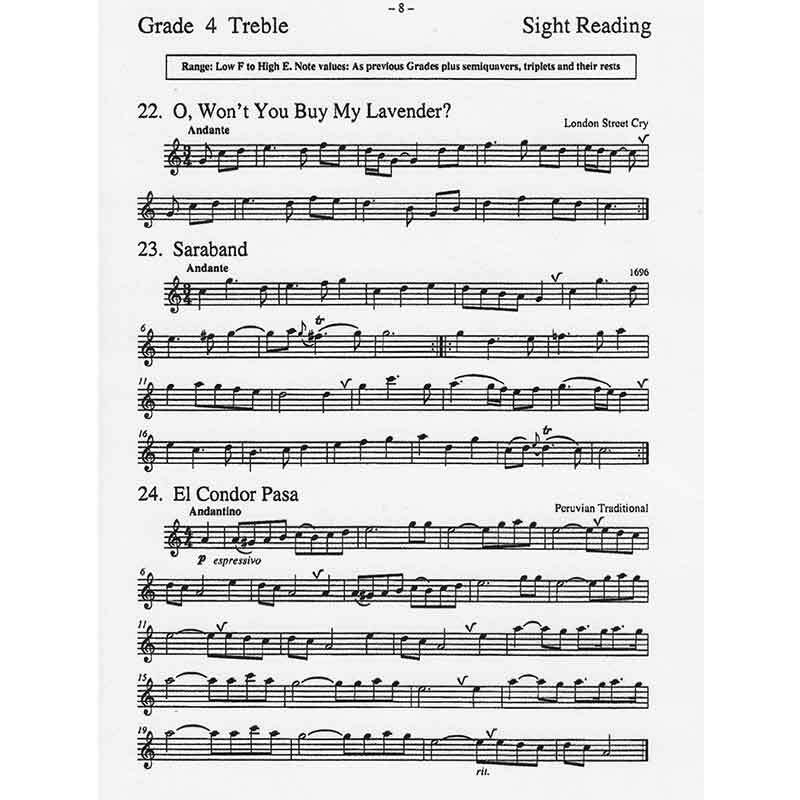 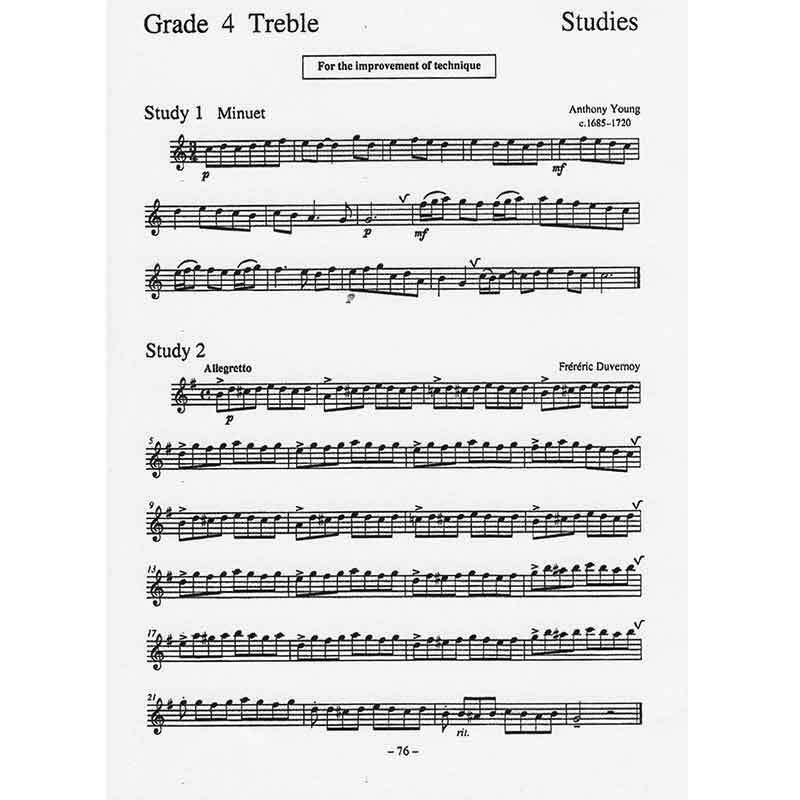 Grade 4 Treble contains nearly as many pages and tunes as Grade 4 Descant with 121 pages and 295 pieces of music. 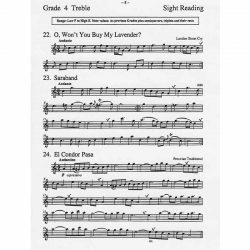 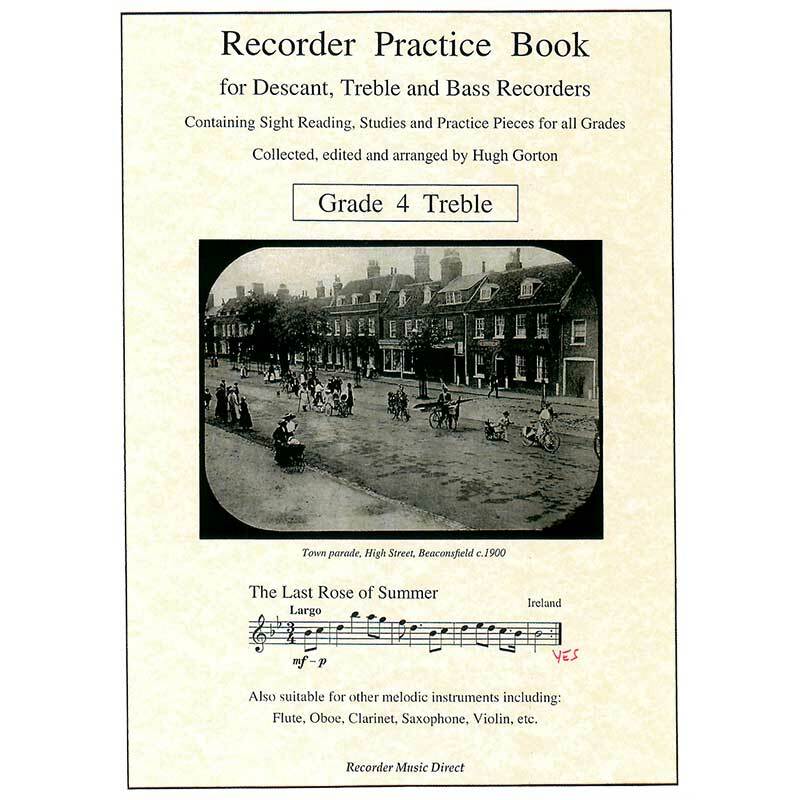 An ample number of pieces to enable the Recorder Player to become a skilled player and music reader. 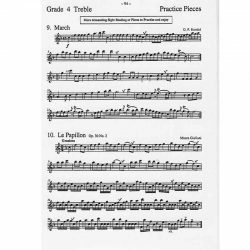 The note range is Low F to High E, fully chromatic, and the keys are F, C, G, D, B flat and E flat major, and D, A, G, E and C minor. 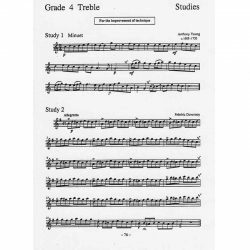 The time signatures are as previous grades with the addition of three/eight, six/eight and three/two. 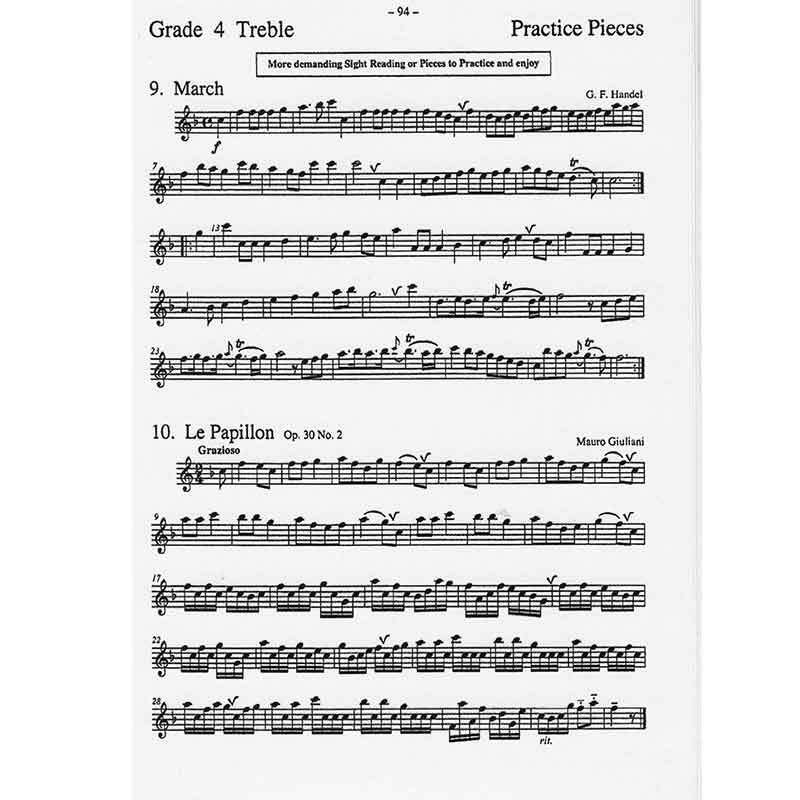 Here also, the time pattern Dotted Quaver Semiquaver is introduced and the note values are as previous grades plus semiquavers, quaver triplets and their rests. 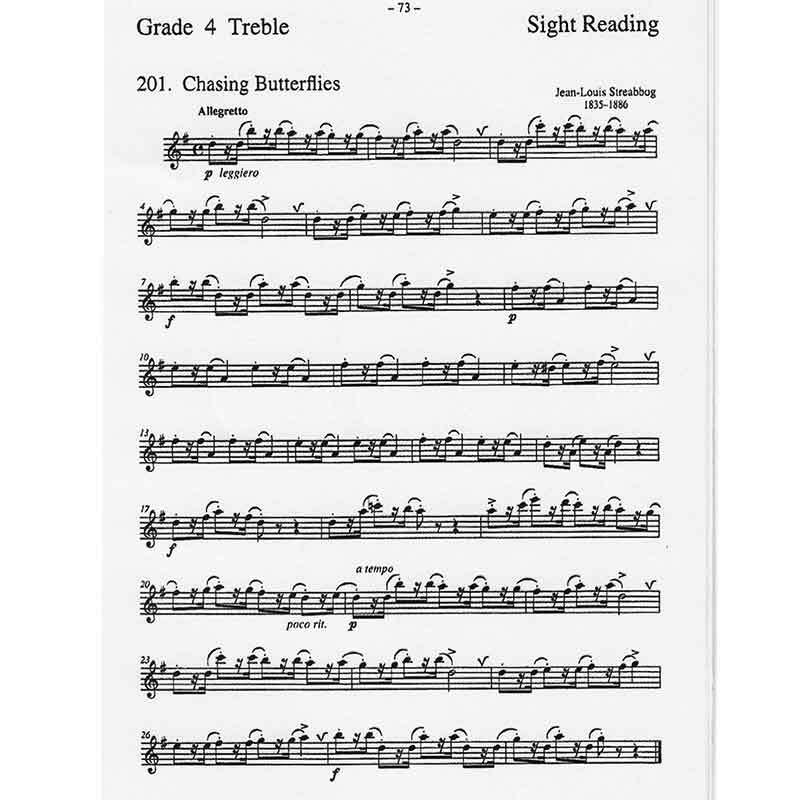 Once again there are a number of tuneful whole-page pieces of music to get the teeth into! 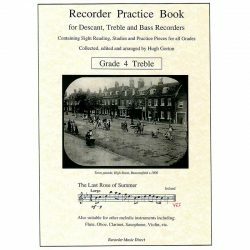 Sample pages from this book are shown above.